I wanted to do this image not so much for the photograph (taken with iPhone) but for the message. I open my fridge door many, many times day and 99% percent of the time I don’t even think about it. But really there are so many things to express gratitude for in most of our lives. 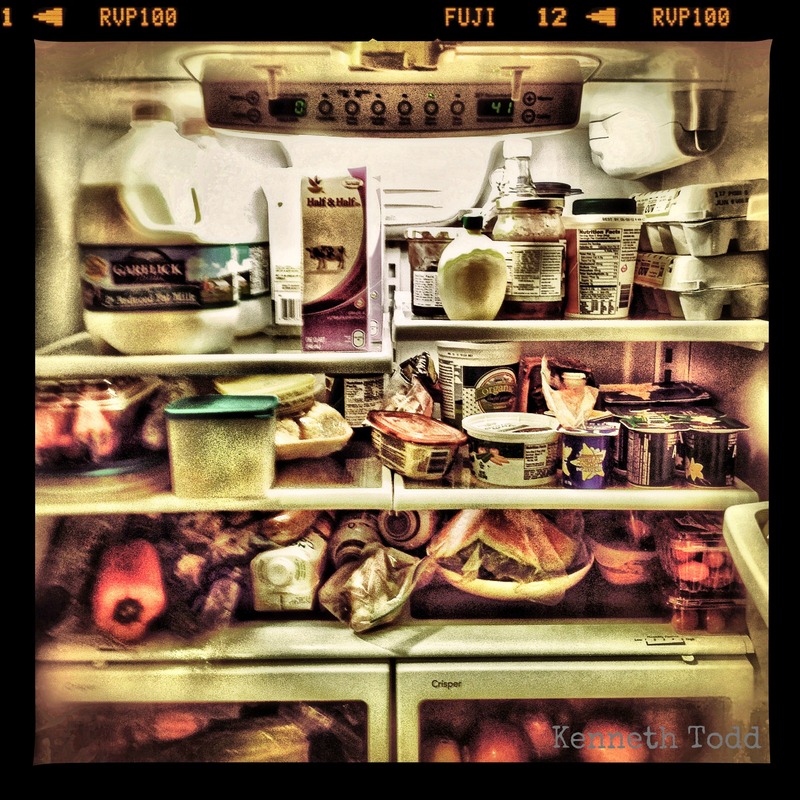 The fridge is full, yet this is not the case for BILLIONS of people and probably MILLIONS of people here in the USA – that is a scary thought. So really when we are having a “crappy” day or feel like life is working against us, sometimes just stopping for a second and saying…”Right, I am going on a rampage of appreciating things in my life”, can really help. Just stopping and saying, “Thank you for this fridge full of healthy food, thank you for the electricity and power, the running water, warm water, roof over my head, comfortable bed, clothes I am wearing etc etc”. Being in a state of gratitude helps change our thoughts and our point of focus, if it has been in a negative state of mind. It can even help boost your vibration or feelings when you are already in a positive frame of mind. There is so much to be grateful for on a daily basis and if you are like me, you have to constantly remind yourself to just stop and appreciate and be grateful. The same goes if you have an ache or pain or part of your body is not working “too well”. Start by being grateful for the parts that are healthy and working, even if it is your baby finger. It is a start and a positive point of focus. So perhaps we can all go to our fridges now, open the door and say thank you. Even if there is just a bottle of water. If you are reading this post then have something that you can be immediately grateful for. A computer, or a job where you can read it, power, mobile device and internet connection or a place where you can get wi-fi. See if it makes you feel better being in a state of gratitude for awhile. What’s even sadder Kenneth is that most of us with a full fridge will throw lots of the food away because we invariably buy more than we can eat before it goes out of date! Love the photo and the thoughts behind it. Thank you very much, appreciate your comments. You do teriffic photography. Geat message too. That Oprah girl got it in one. It certainly is, tks for visiting James. The film frame is historical! I recall the time when I used to photograph with 135mm camera in negative & positive film. That is one amazing Refrigerator! LOL It really says a lot. That is funny and I never knew that. Thanks for sharing and educating.